BevNET Live Winter 09 is shaping up to be a great day of learning and networking. Plus, the early registration discount Expires SUNDAY! Updated: We’ve extended the early registration deadline until Sunday, October 18th. We’ve updated the agenda, which includes speakers from a variety of today’s leading beverage companies, distributors, retailers, and investors. Beverage School is a new addition to our event format and will feature a smaller, more intimate format that’s designed for people who are new to the business. It will cover tactical issues, such as finding a flavor house, co-packer, distributors, and capital. Come network with attendees of BevNET Live for drinks and dinner. We’ll also be presenting the award for “Beverage Entrepreneur of the Year” as part of BevNET’s 7th annual “Best of” Awards. 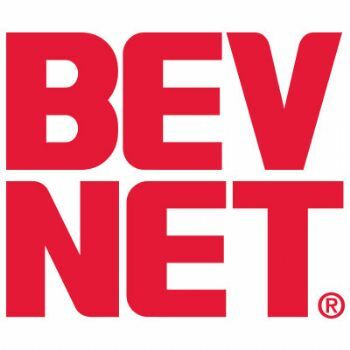 •	Introduction –BevNET reports on the challenges and opportunities in the year to come for entrepreneurial beverage companies. Speaker: John Craven, President, BevNET. •	Market Overview – Into the New Year – This panel is an invaluable collection of dispatches from the trenches of the beverage business – the marketers, suppliers, investors, distributors and retailers who are best able to report on the way the market is treating entrepreneurial beverages. Speaking: Erik Donhowe, VP, Wild Flavors; Michael Kirban, President, Vita Coco All Market; Hoby Buppert, CEO, BAWLS; Brent Knudsen, Managing Partner, Partnership Capital Growth Advisers; Phil Smallwood, Beverage Category Director, AM/PM Stores. •	Entrepreneur Panel – Getting Converts – This panel discusses strategies used by beverage marketers to take unfamiliar products – including those with new taste profiles or functional attributes – and turn them into breakout brands with devoted followings. Speaking: David Karr, Founder, Guayaki Yerba Mate; Mark Rampolla, CEO, Zico Coconut Water; Greg Stroh and James Rouse, Founders, MIX1 Beverage Company. •	Presentation and Panel: Taking on the Big Boys – 5-Hour Energy founder Manoj Bhargava shoots from the hip on how he used a small bottle to get control of a large chunk of energy drink real estate. With a follow-up discussion featuring other marketers who have grown their products even while facing competition from the highest levels of the industry. Speaking: Manoj Bhargava, CEO, 5-Hour Energy; Steve Haley, CEO, Celsius, Chris Reed, Reed’s Original Ginger Beer. •	Presentation and Panel – Build a Conscious Brand – and Attract Investors Anyway! – They’ll tell you that to grow as a brand, you have to abandon your principles. But Sambazon is one of many thriving brands that have hewn to its strong orientation toward environmental and social justice – and has used its principles as a means to attract investment, rather than discourage it. This presentation will explore the ways in which Sambazon has been able to grow and expand while selling its conscious philosophy – and not selling it out. Presenters: Ryan Black and Jeremy Black, Founder and CMO of Sambazon Acai. Followed by panel with Brent Knudsen, PCGA; Gillian Christie, Christie Communications; David Karr, Guayaki Yerba Mate; Greg Steltenpohl, Adina Beverages. •	Distribution Panel: Beverage distributors can be the key to helping a brand grow – if they take it, and if you work with them. But at a time when expectations are changing regarding how distributors, marketers and retailers can support products, it is important they all communicate. Here is a chance to hear from, and speak with, a group of distributors who represent key links in the chain a product follows to market. Speaking: Robert Groux, CEO, Coast Bevearge Distributors; T.J. Louderback, President, Bay Area Beverage Co.; Mark Muench, CEO, Central Beverage. •	Presentation – Learning to Trust Your Retail Partners – Steaz is an entrepreneurial brand that has relied strongly on its affiliation with Whole Foods to help it make decisions about the direction of its products – a decision that has resulted in many successful outcomes. Founders Eric Schnell and Steve Kessler discuss the finer points of handling the relationship between marketer and retailer. With a follow-up discussion featuring marketers and retailers who have negotiated these sometimes rocky waters in the past. Speaking: Eric Schnell, CEO of Healthy Beverage Co.; Steve Kessler, President of Healthy Beverage Co.
•	Panel – Investment Models – Partnering with a larger beverage company is just one way to build an entrepreneurial brand into a winner in the marketplace. Other investment strategies are on the table in our freewheeling discussion. Founder and President of BevNET.com, Inc. Co-Founder of Dash Advisors, LLC. Founder and CEO of REED’s Inc.